Cendrine Browne réalise son rêve de participer aux Jeux olympiques. C’est un moment émouvant dans la carrière d’un(e) athlète qui voit récompensés ses efforts et tous ses sacrifices. Cendrine Browne is fulfilling her dream to represent Canada at the Olympics. It’s an emotional moment for any athlete who sees all the efforts and sacrifices rewarded. With a thought for all those who have worked just as hard and whose dream remain whole… for now. Voici un dernier diaporama sur les sélections 2018 de Ski de fond Canada au MSA. Aux athlètes, bonne chance aux JO et aux mondiaux. Here is the last slide show on Cross Country Canada’s 2018 Selections at MSA. The Final Cut! Good luck to all at the Olympics and the World Championships. Avec un montage de remarquables photos de Mario Walker. Behind those eyes, a thought for Rich Boruta. Zina Kocher, one of Canada’s top biathletes for years, came out of retirement in tribute to Rich Boruta, her long time biathlon coach who died tragically in a climbing accident at the age of 49. He was urging her to try to qualify for the 2018 Olympics in xc-skiing. Slide show from opening day at CCC’s WOG Trials in MSA. Photos: Mario Walker et Michel Arnautovitch. How do you spell cruel? Olivia Bouffard-Nesbitt had overcome so many hurdles to get there you couldn’t even count them on both hands. Pressure is mounting towards January’s Olympic Trials at Mont Sainte-Anne. Here the top 6 women in the recent mini-tour in Rossland. Cross-Country Canada issued an amendment Tuesday to the selection procedures for the Canadian Olympic team that will compete at the Pyeongchang Games in February. Zina Kocher is on fire! Zina Kocher had a very encouraging day Saturday at the Rossland Haywood NorAms. It’s not only her third place in the Sr Women’s Sprint, it’s the way she’s showing improvement. Can Zina Kocher make it to the Games? Zina Kocher took a lot of people by surprise when she recently announced that she was making a comeback to try to qualify for the Pyeongchang Olympic Games next February. Does she really have a chance to make it? Shooting Star would have been an obvious title. 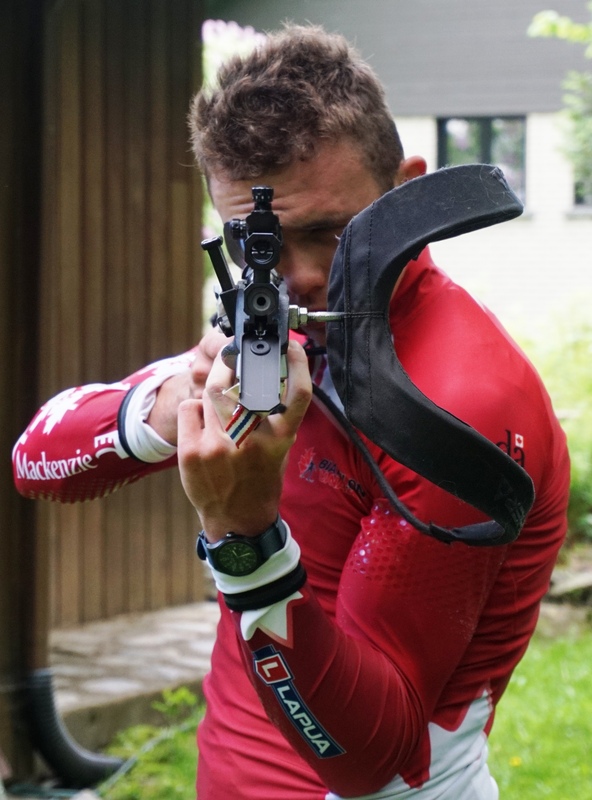 But Deep Purple’s classic hit is more appropriate for Léo Grandbois, one of Biathlon Canada’s most promising athletes, and his “race it to the ground” personality. We were told about Léo a while back. 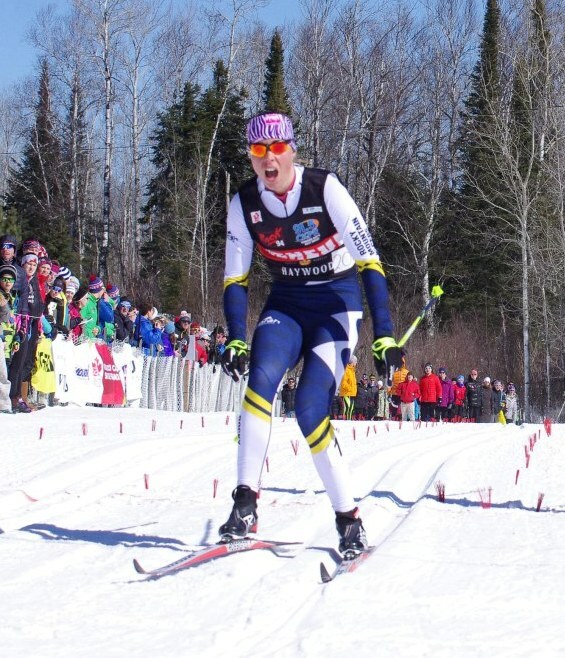 The Youth Biathlon World Championships were approaching and Léo, a rugged 17 yo from Sherbrooke, QC (6′-180 lb), had just won some home races. Confidence reigned in the Canadian clan. Revoyez à l’oeuvre le meilleur fondeur canadien de l’histoire, qui est en voie de connaître la meilleure saison de sa carrière. Take another look at the best ever Canadian cross-country skier, on his way to the best season of his career. It’s not exactly obvious to find its way through CCC’s World Championships selection process in the ongoing US Nationals in Utah. As we know, those US Nationals are used as the Canadian World Junior/U23 and Senior Championship trials. The criterias make so that final decisions won’t be made before the last races on Thursday. The love story between cross-country skiing and Anne-Marie Comeau is over. Let’s breathe through the nose. Canadian women results in the World Cup are not at all disappointing since the start of the season. In life, there is this, there is that, and sometimes, but not often, there is the ultimate. The new skiing season is here and this one promises to be exciting. There is of course Alex and Devon and Lenny. Ivan “Babs” Babikov has gone into retirement and is now a coach with the national team. Most exciting will be to see how the up and coming athletes are progressing. The summer training has been productive and most of them are in great form. 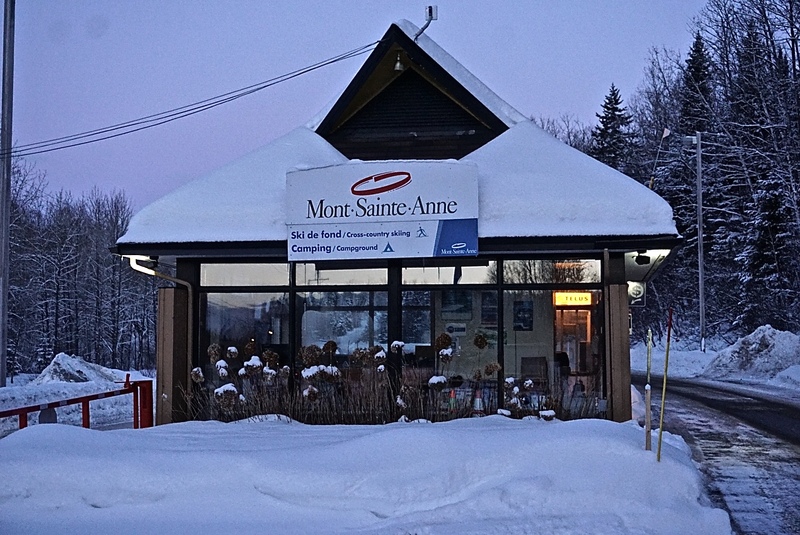 To launch the season, Skiplus is presenting a slide show on the Haywood NorAm Cup at Mont-Ste-Anne last January. It’s our first audio/video production and a very humble one. To all the athletes, coaches, support staff and parents, have a great season. Let’s get psyched!